Still, CFO Bob Shanks warned analysts and investors, “don’t be surprised” if Ford cuts production or temporarily idles assembly lines across North America in the coming months. It’s a strategy meant to avoid bloated inventory, but will also eat into revenue. 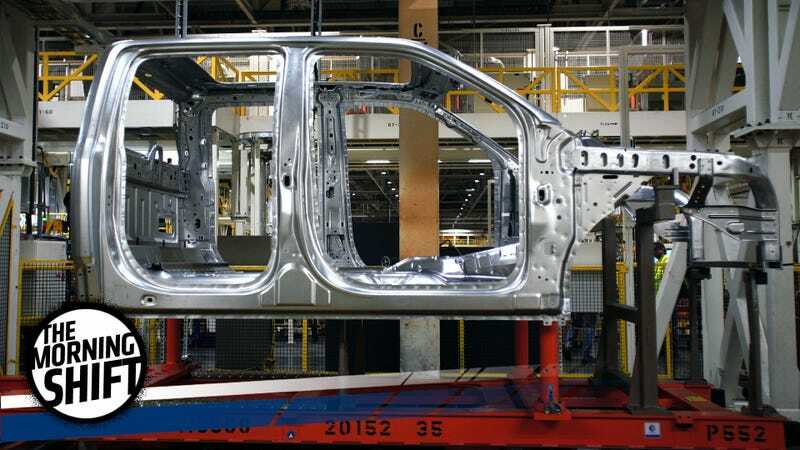 Ford’s car assembly lines are the most likely to go idle, although they may choose to pare down its F-150 and Transit inventory as they did earlier this year. The combination of plateauing auto sales, growing negative equity from consumers and lenders’ willingness to offer flexible loan terms is a significant credit risk for lenders. We’ve already seen lenders whip out longer terms and more accommodations to get you into a new car today, so expect that dicey trend to continue, and the amount of steam coming out of Tom McParland’s ears over genuinely bad loan deals to rise. Already in the first nine months of 2016, around 32 percent of trade-ins carried a outstanding loans that were worth more than the car itself, per Edmunds. This negative equity gets tacked on to the next loan, but doing so over a series of trade-ins is really starting to hurt auto lenders. 3rd Gear: Who Wants To Buy A Car On The Internet? Meanwhile, third-party stalwarts such as Autobytel, Autotrader and Cars.com are considering a future where they could go beyond their current roles as inventory hubs and gateways to dealership sites. This evolution would allow consumers to browse listings, settle on vehicles and then close deals using buying tools on third-party sites, without necessarily visiting a dealership’s site. Such a move would require third-party platforms to redo their plumbing and form new partnerships with players such as finance companies, which would be needed to handle the credit-approval process for consumers. And they would have to get dealers to agree to sell vehicles on these sites in the first place. Why just buy parts overnight from Japan when you could get the whole car? “I don’t think you’ll have third-party sites that can have all of the transaction handled online, but third-party sites can do more to automate the process so that once a customer gets to a dealership, the work done [there] is minimized,” Toprak said. Many of the tools, such as Kelley Blue Book’s Instant Cash Offer for trade-ins and search tools like AutoTrader’s, already exist online to make such a buy-it-now experience happen for cars. So, that’s the logical next step. The move would allow Avtovaz, majority-owned by French car giant Renault (RENA.PA) and its alliance partner Nissan (7201.T), to stop disclosing financial results and reduce costs after being hit by the collapse of Russia’s once-booming auto industry, where annual vehicle sales have more than halved since 2012. Avtovaz posted a net loss of $785 million last year, so they’ve got to do something. They’re majority-owned by Renault and its alliance partner Nissan. A Renault spokesperson told Reuters that the delisting was merely part of the ongoing restructuring going on at Avtovaz, which makes Ladas and other Russian-market Renault-Nissan Alliance cars. South Korea’s Hyundai Motor (005380.KS) on Monday said it had suspended production at one of its Chinese factories for a week, fuelling concern that a diplomatic standoff may be hurting sales in the automaker’s top market. South Korean companies, from cosmetics firms to retailers, say they are being targeted in China because of Beijing’s objections to a planned deployment of the U.S. Terminal High Altitude Area Defence (THAAD) system in South Korea. China worries the system’s powerful radar can penetrate its territory. Hyundai says they idled its plant in Hebei Province from March 24 to April 1 to modify technology in its production line, but man, the timing sure coincides with China putting the heat on Hyundai’s home country. About a quarter of Hyundai’s sales go to China. Neutral: Could Sketchy Loans Screw Our Economy Once More? We’ve seen it with easy credit and subprime mortgages. Do you think riskier auto loans could be the next big problem, or is the pool too small?